Note: This is courtesy of SportsAngle executive editor Frank Pepe, also of Trumbull Island. I could not have said this better myself. After turning in the worst playoff performance of his career, LeBron James might only have one more game of basketball left this season. Problem is, the most talented and accomplished young player on the planet famously has aspirations beyond athletics. 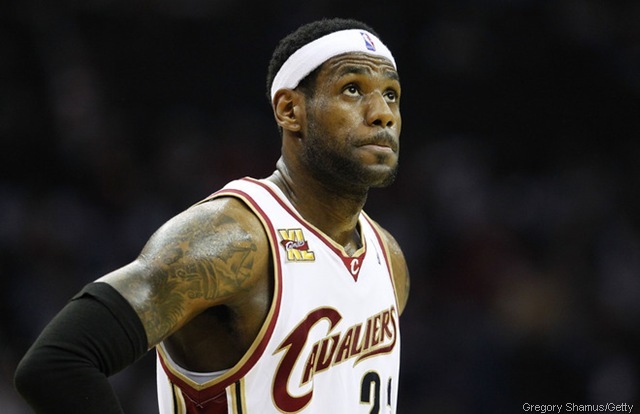 A celebrity and an outsized personality, the small forward has traditionally been selfish and petulant after his Cleveland teamsÃ¢â‚¬â„¢ eliminations, a fate heÃ¢â‚¬â„¢s met with since first reaching the playoffs in 2006. Of course, until Tuesday, heÃ¢â‚¬â„¢s been mostly excellent in these losses. So what happened early this week? Was he injured, defended well, or was he simply thinking about his dinner reservations?